Robert Mix's Blog: Ameru Trading del Peru S.A. Many of you have asked me some questions about our bearing import company in Peru: Ameru Trading del Peru S.A. Because Lilia sent me the double logo, that is what I present to you, this is our face to the world. Some of you may recognize the above image... Picture courtesy of KBC of Korea (now owned by Schaeffler of Germany). The Hub and Bearing Assembly above is a "3rd Generation" piece, many of these are also sold with the ABS sensor (we sell some too, but nobody Peru cares about anti-lock braking systems, all they care about is driving faster...). 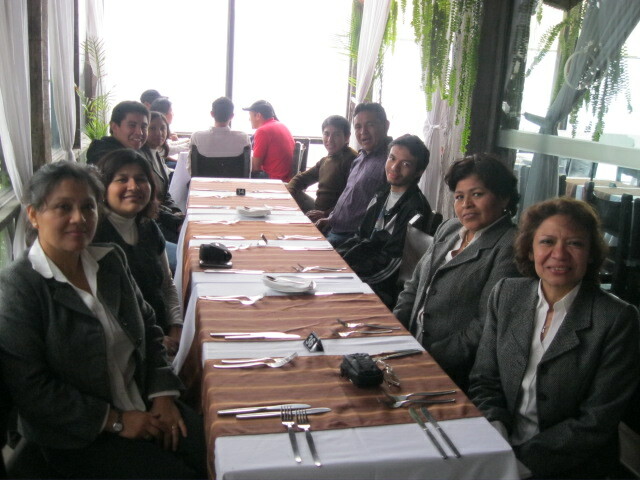 Ameru Trading del Peru S.A. was started in 1991 by my (Peruvian) in-laws and myself. I had a small import/export business at that time, and I was always going back and forth from Lima back here to the USA (where I have always lived). Before the founding of our company I was always taking taxis in Lima to different parts of town, and I liked to chat it up with taxi drivers, who in a sense are like me: wanting their freedom. I would always ask these guys "What do you NEED here in Peru?" as I was importing Peruvian green coffee beans (unroasted) and selling them in the USA. The taxi drives almost always said "Repuestos, Sr. 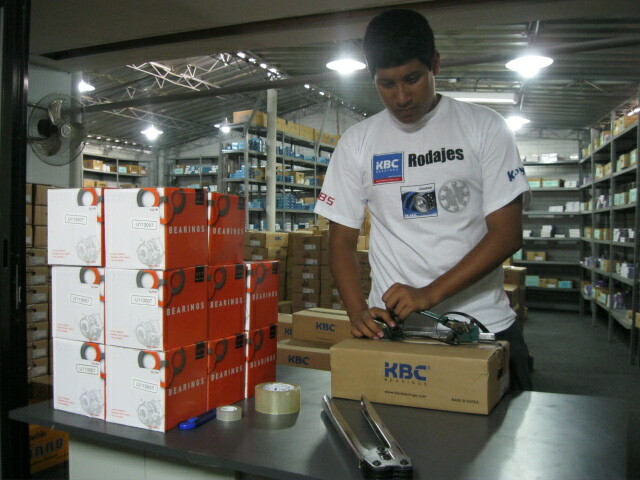 Gringo, repuestos" (automotive spare parts). As time went by, I had enough snap to ask them: "What kinds of spare parts, there are lots of parts in a car..." I started to hear many of the words often enough that I looked them up. As the years passed by, we gradually decided to concentrate on rolling bearings as I had a friend whose family owned a bearing company. We bought their bearings. As time went by, we also started buying from Nachi (Japan), MGM (Hungary) and FLT (Poland). We were still very small, but at least we were in the game. We then later bought Japanese bearings from middlemen (the "Gray Market", that is businesses that were outside the distribution systems of the big bearing manufacturers) and we bought some from China as well. 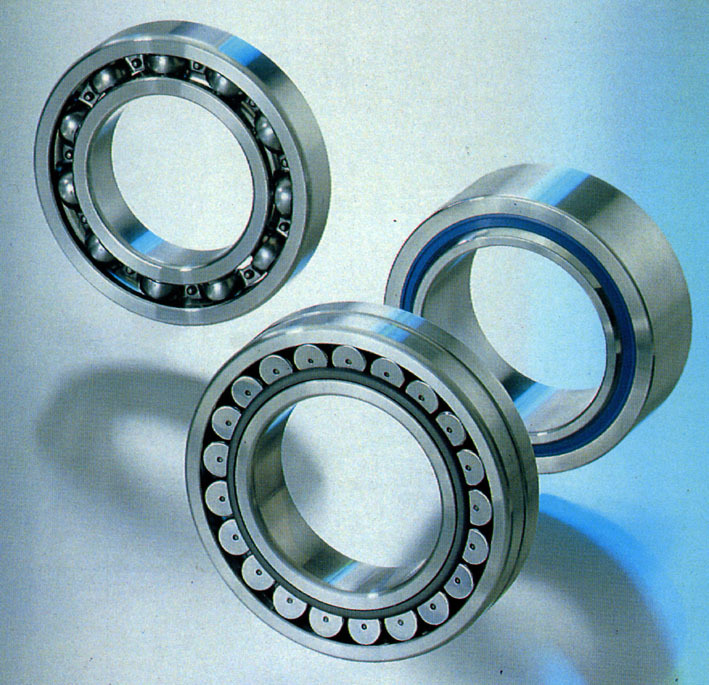 Up until 1998 we had our best luck with the Polish bearings. Then that year a big opportunity opened up. A new Used Car segment opened up in Peru as the Daewoo Tico stormed in, 80,000 of those used cars entered Peru its peak year. And we contacted KBC of Korea who supplied most of the bearings for Korean cars. We bought a small test purchase (as was typical for us, start small to see how things go), brought the pieces to Peru, and they sold very quickly. Wow! I put more money into Ameru, so that we could exploit this opportunity. That same piece mentioned above, the "02-6007-RS" is the wheel bearing for the entire front axle of the Daewoo Tico, meaning four bearings to re-do the entire front axle's bearings. Because the Daewoo Tico was a small and poorly made car (the VW Beetle looked BIG, mean and tough next to the Tico) and because Peruvian streets were (and still are) pretty bad, there was a huge demand for that piece. LOTS of companies make that piece, but KBC offered us a better deal: we would supply cheaper than Japanese bearings, but better quality than Chinese. And they were the Original Pieces (even though they are the same pieces, we are not allowed to say the Genuine Pieces). We also bought Japanese and some Chinese bearings (the latter for our "Precio Nada Mas", Price Nothing Else, set of customers). More recently we started buying Iljin's bearings and assemblies in larger quantities. Iljin is also Korean. Inside our warehouse look closely and you can see KBC's logo. The orange and white boxes hold Iljin's Hub and Bearing Assemblies, these new pieces are selling well for us, especially for the Hyundai fleet. Hyundai is who Toyota is scared of... They should be! 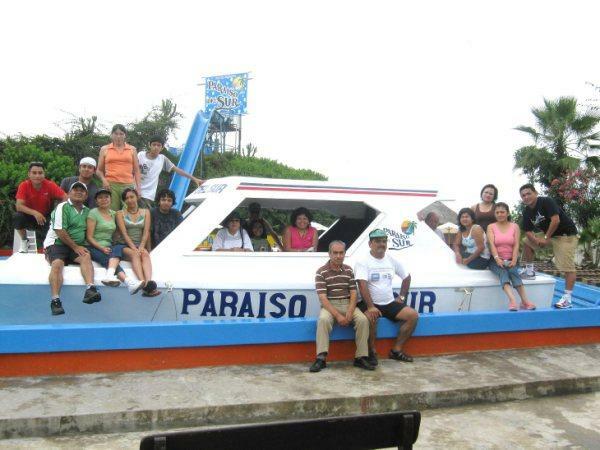 Our company grew in size quickly, which brought a different set of problems and issues. But, we hung in there the best we could. We had a nice niche supplying the Asian auto fleets there in Peru and about that time started picking up sales from the provinces (always nice as it was they paid us first, then we shipped the bearings, no credit risk). Our company is now the Exclusive Distributor in Peru for both KBC and Iljin brands. The lovely lady at the lower right is Lilia, my wife's sister. She is the Office Administrator and my main contact point there in Peru. Her husband is our General Manager. I am the Head Cheerleader! OK, that's it! I hope that you all enjoyed seeing a big part of my world. Coming from the other end of the business spectrum, I'd be interested in hearing about how you developed your sales channels and what you found useful in that regard. Matt! For business stuff, please email me! I had experience in export and import sales (but years ago).